In 1846 naturalist John James Audubon wrote that the Marsh Tacky is as “tough as a Pine knot.” Indigenous to the marshy coastal islands in the low land or Lowcountry region of South Carolina, these living legends of Colonial Spanish decent have survived over the last 500 years by adapting to the environment. With their built-in “wood sense,” the Marsh Tacky horse thrives in the swampy conditions, using an intuitive sense of self-preservation. Unlike most horses reacting to unfamiliar situations with panic and flight, the Marsh Tacky is a breed famous for its thoughtful approach to new situations and navigating the land. Historical data has also traced use of the Marsh Tacky horse back to Native American tribes’ deerskin trade. “Spanish horses were acquired at the St. Augustine Spanish settlement and were used as pack animals for the Native American trade routes of the Chickasaw, Creek, and Southeaster Choctaw tribes”, says David. These Spanish horses were sold upon reaching Charleston and populated the low lands and coastal islands of South Carolina and Georgia, where they remained isolated. There these Spanish Colonial horses developed into the Marsh Tackies that we know today. The Marsh Tacky was thought to be extinct until recently. The efforts of a small number of dedicated enthusiasts have ensured that it has survived. Today there are roughly 220 documented Marsh Tackies left in the world. Despite its continued common use, it can no longer be called a common horse. The Marsh Tacky is sturdy and balanced and stands around 14 hands. The Lowcounty superbly shaped this relatively small horse and in turn created a breed capable of the work and strength normally found in much larger horses. The Marsh Tacky is muscular and “an easy keeping horse with a sharp mind.” Most Marsh Tackies are roans, bays, and solid in color. At first glace, the Marsh Tacky may look like an ordinary horse. Its abilities astound many. 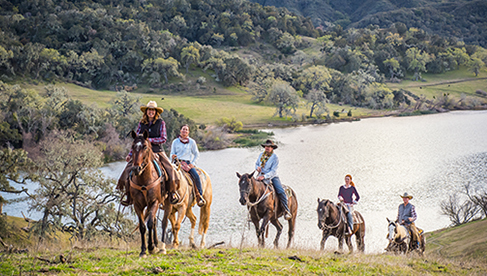 Different horses have different gaits or ways of moving. A horse that has special ways of moving is said to be gaited, like the Tennessee Walking horse, which is known for its smooth gait. After many stories noting the extreme comfort and unusual smoothness of the Marsh Tacky, people wondered if the Marsh Tacky was a gaited horse. 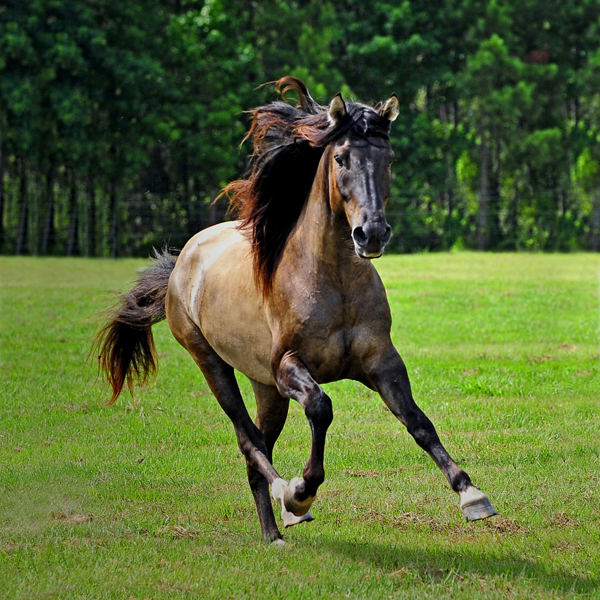 A recent scientific study was undertaken through the Gaited Locomotive Research Program at Mississippi State University and American Livestock Breeds Conservancy. It concluded that the Marsh Tacky is indeed a gaited breed. The Marsh Tackies movement has been studied quite closely and it has been determined that the gait itself is like no other in the world, other than a slight similarity to the Marchador of Brazil. This gait will eventually be named and unique to the Marsh Tacky. David is one of the few remaining Marsh Tacky breeders in the country. In his breeding program, David strives to achieve quality and not quantity, with only around 10 foals being born in the last several years. He wants to ensure that the breed carries on for generations to come. Jennette Beranger is the Research & Technical Programs Manager for the American Livestock Breeds Conservancy. Their mission is to ensure the future of agriculture through genetic conservation and the promotion of endangered breeds. She has spent the last 5 years researching the Marsh Tackies and has succeeded in completing a studbook and documenting the horse by using DNA samples from nearly 100 Tackies for authenticity. 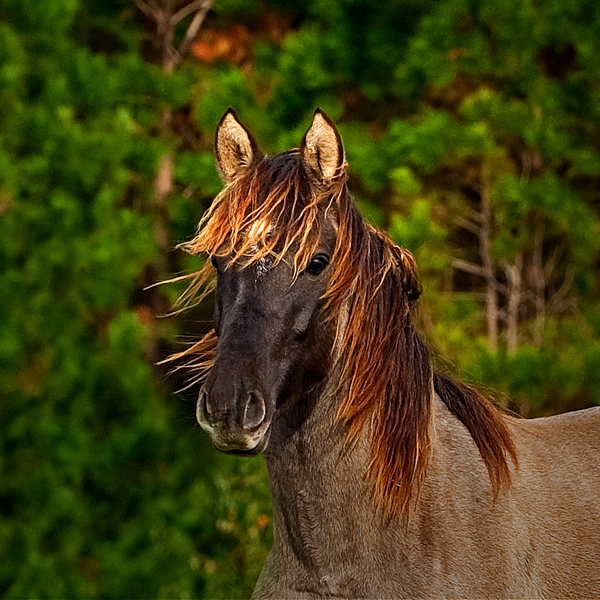 These DNA samples have shown that Marsh Tackies are related to other Colonial Spanish strains, including the Florida Cracker, Spanish Mustang, Spanish Barb, Sulphur, and Choctaw horses, among others. There are believed to be only 8 or 9 strains of Spanish colonial horses left in the US and the Marsh Tacky is now documented as one of them. 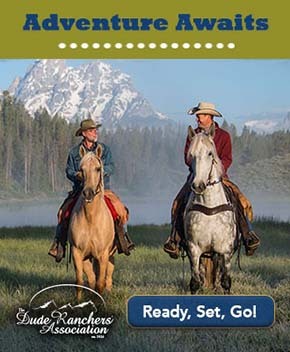 The studbook has proved a great benefit in securing the breed’s status. The American Livestock Breeds Conservancy, with the use of the studbook, is now working to secure the remaining bloodlines. As I interviewed David and Jeannette, I realized that this was more than just a horse that we were discussing. The March Tacky horse represents a connection to the land and culture for South Carolinians and a way of living, surviving, and adapting to conditions that ultimately became home. 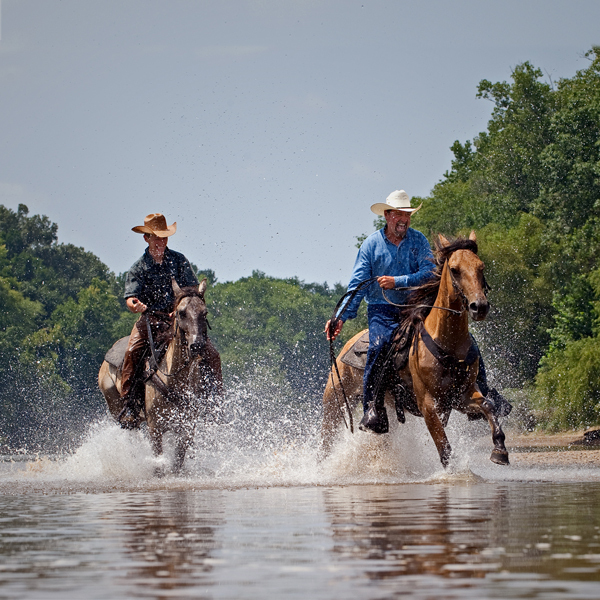 Even today, the Marsh Tacky is used to traverse the swamps and rough terrain hunting and trail riding, continuing to work and live as it has for the last 500 years. The Carolina Marsh Tacky Association has introduced a bill to designate the Marsh Tacky as the State Heritage Horse of South Carolina. The bill currently resides in the House Invitations and Memorial Resolutions Committee, and it is supported by the Catawba Chapter Daughters of the American Revolution in Rock Hill, South Carolina. They believe that the Marsh Tacky should be officially recognized because of the important role this breed played in the history of South Carolina. If this movement is successful, recognition of the Marsh Tacky would help to maintain the historical and preservation efforts of this endangered breed, ensuring future protection of the Marsh Tacky. ARTICLE UPDATE: Since this article was published, The Marsh Tacky has been named South Carolina's Official State Heritage Horse! For more information on the March Tacky, visit the Carolina Marsh Tacky Association, American Livestock Breeds Conservancy, and Carolina Marsh Tacky Outdoors.